For Angel Rahimi life is about one thing: The Ark - a pop-rock trio of teenage boys who are taking the world by storm. Being part of The Ark’s fandom has given her everything she loves - her friend Juliet, her dreams, her place in the world. Jimmy Kaga-Ricci owes everything to The Ark. He’s their frontman - and playing in a band with his mates is all he ever dreamed of doing. But dreams don’t always turn out the way you think and when Jimmy and Angel are unexpectedly thrust together, they find out how strange and surprising facing up to reality can be. A funny, wise, and heartbreakingly true coming of age novel. 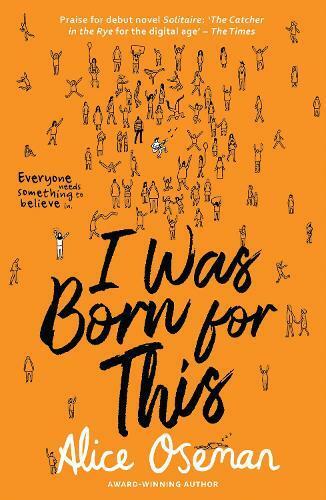 I Was Born for This is a stunning reflection of modern teenage life, and the power of believing in something - especially yourself.